Palazzo Vecchio, quartieri monuentali... - FLORENCE LIVE! Palazzo Vecchio monument of exceptional artistic and historical importance, receives to its inside wonderful museum where you will be able to live again the ancient history of the Family of Medici…. The palace has been in the centuries the political center and the symbol of the city. Planned probably from Arnolfo di Cambio, it was founded in 1299 like center of the Priori of the Limbs: laughed them to this period the strict and elegant structure, with the characteristic merlata tower that rests directly on the facade. 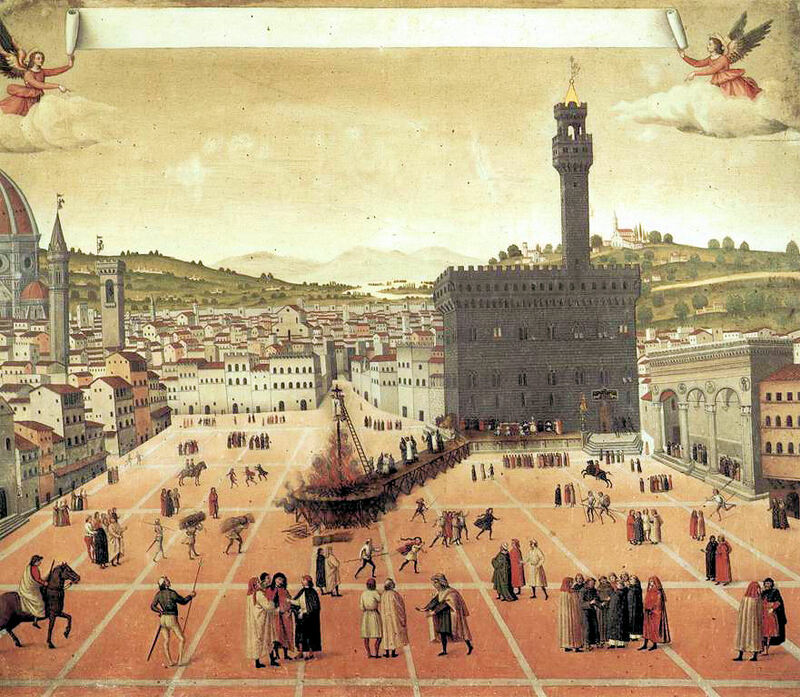 Center of the Lordship in XV the century, from which the also name of Palace of the Lordship, in the 1540 with Cosimo of Medici divenne dwelling of the granducale family, transformed from the Vasari in a reggia sontuosa in which they detach the Hall of the 1500's, the precious Studiolo di Francisco I, frescoes refines you to it of the Quarter of Eleonora and the Quarter of the Elements. It frescoes were you execute yourself from artists like the Ghirlandaio, Francisco Salviati, Bronzino, the same Vasari. In the Palace some capolavori of the sculpture of the Rinascimento are found moreover: the Genius of the Victoria of Michelangelo and the bronzeo group of Giuditta and Oloferne of Donatello.